Welcome Home! This nearly new single level home in a great neighborhood is close to schools and shopping. Built 6 years ago, this 1600 square foot 3Bd/2Ba home is open concept living at its best. 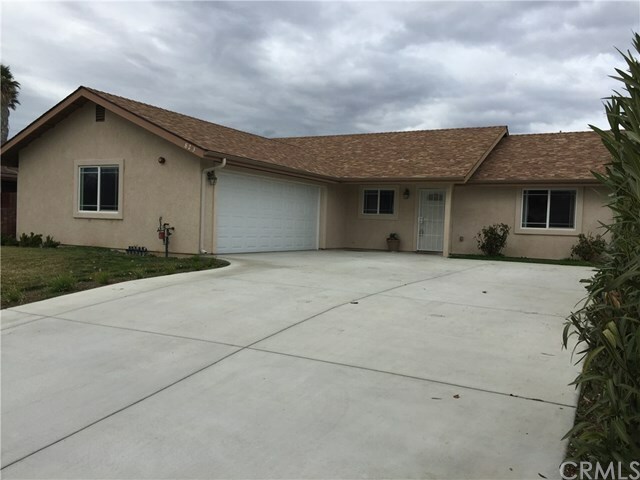 A large great room with access to the back patio so you can enjoy entertaining in Paso Robles. The kitchen features granite counters and lots of counter space as well as a nice size pantry and eating bar. Laminate floors and lots of light welcome you in and the interior has been freshly painted. The three bedrooms are nice size and the master suite has access to the private backyard patio. There is an additional room that could be a nursery or craft room. The 2 car garage interior is finished and there is extra parking in the front drive area. The backyard is fenced and sprinklered and has views of the greenbelt. Don't delay, come and see today! !